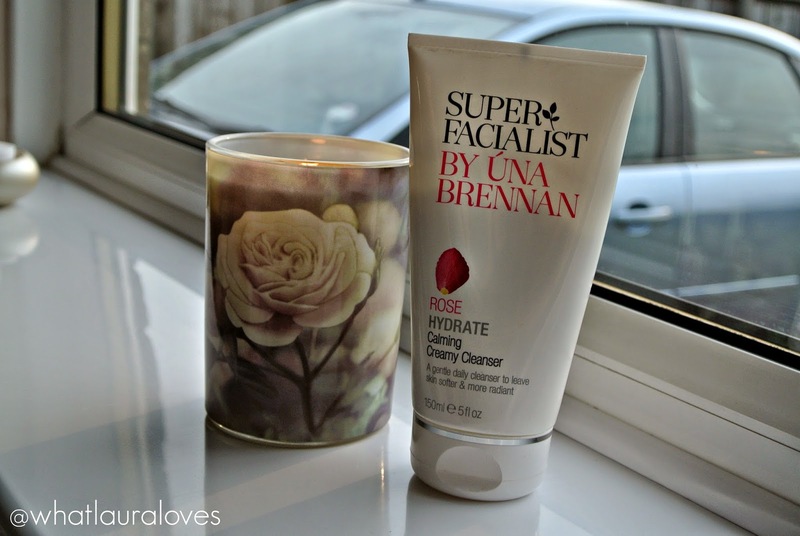 For the last couple of months I’ve been trying out the Superfacialist by Una Brennan Rose Hydrate Calming Creamy Cleanser and today I wanted to review it for you. 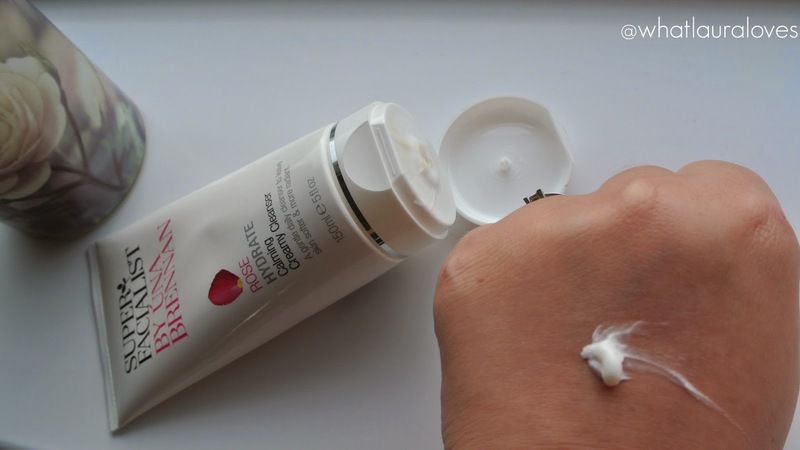 The Rose Calming Creamy Cleanser is a very moisturising cream cleanser that is formulated with lots of skin softening skin goodness from Shea and Cocoa Butter to Pro Vitamin B5 which work together to moisturise the skin and break up make up and dirt left on the skin. Other notable super gentle ingredients include Marshmallow, which I WISH you could smell in the formula, and Allantoin which aim to soothe the skin, calm it down and restore the natural pH balance to the skin. I’ve found that the best way to use this cleanser is as the second stage of a double cleanse. First I would use something light weight to remove the bulk of my make up and to refresh my face, such as the micellar water, Bioderma, on a cotton pad (pssst… rumour has it that you can get a third off Bioderma in June here) or the Elemental Herbology Cool and Clear Facial Cleanser and a face cloth over the sink with some warm water. Then I would go in with the Una Brennan Rose Calming Creamy Cleanser. Massaging it over damp skin, before running a face towel or muslin cloth under the water until it is warm to the touch and then wiping away the cleanser from this skin. This helps to gently exfoliate the skin too. This cleanser is very thick in texture and it feels very silky to the touch. The feel of it actually reminds me of the Yes To Carrots cleanser that I reviewed here. The incredibly thick and rich texture of this cleanser makes it perfect for dry skin types as it is incredibly moisturising. I found that it was too heavy for my oily skin to be used morning and night so on oily skin types I would suggest reserving it just for the evening cleanse however on dry skin types, I think this cleanser would be perfect for use on a morning and at night. I found the cleanser to be very gentle and calming on my skin and it didn’t irritate my skin at all. The cleanser is very strongly rose scented which isn’t usually a fragrance I would opt for and I think that that would be a very make or break element of the cleanser for some people but it is an authentic scent rather than a synthetic fake rose scent. It lingers on the skin after use too which I quite like. If your skin is feeling dehydrated and in need of a moisture boost then I would recommend this cleanser to you because it left my skin feeling so soft after I had used it.